I have here in the DX-Cluster window the Telnet-DX-Cluster "arcluster. reversebeacon. net". In the last time it happened that the spots are suddenly only displayed as "Z". After restarting CQRLOG, this is temporarily fixed. in the meantime I think this has to do with the current very high spot rate of the "CQ WW DX Contest". 161244 per hour are about 45 spots per second, which have to be processed. Let's see what tomorrow looks like. This happened with official version 2.1.0(001)? Why I'm asking is that when I just made fixes to partial callsigns (regexp) alert I run into situation where I was connected to cluster and suddenly new DXes stopped to show up on DXCluster form. How ever they all appeared ok to debug screen. I just thought that I have messed up something an started to rewrite same changes again over untouched source and after I compiled that I did not notice same happening again. But it may be that there is something lying there. It would be interesting to know when you were getting "Z"s were the actual cluster lines still visible via debug information. Yes, I am using version "2.0.1 (001)2017-08-08-06". This morning's spot rate was around 6,000 an hour. The incorrect output does not occur. That's why it seems to be the high spot rate this weekend. I don't know which filter parameters are programmed in the DX-Cluster window. Perhaps a menu with a few individual filter settings would be desirable. 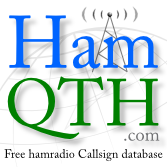 E. g. DE station only EU (NA, SA, AF, AS, OC, all), DX station only EU, NA, SA, AF, AS, OC, all. In this way, the number of spots could be reduced even further before processing. I normally use filtering at DXCluster side with reject/accept commands (Syntax: reject/spots [0-9] pattern ) to drop out useless information. That will drop traffic already at DXCluster end so cqrlog will have less to deal with and filters at local site are not needed. In "https://dxwatch.com" or "http://skimmer.dxwatch.com/", you can set a filter to show only spots reported from "EU" (DE station = EU). This allows me to estimate whether the DX station is within my range. How can I do this in the DX-Cluster window if I enter "telnet. reversebeacon. net: 7000" as DX-Cluster under telnet? I haven't had any success so far, because I don't know much about DX-Cluster commands. Perhaps it would be easier for many people if you could transfer the simple filter selection from "https://dxwatch.com" or "http://skimmer.dxwatch.com/" (or parts of it) to a configuration menu. Filters for "Band" and "Mode" are already given by the selection in "TRX control". It seems that telnet.revesebeacon.net is not a "real" DXCluster in the way like DXSpider and other cluster softwares. All three nodes run stripped down relay servers specifically designed for maximum throughput and no filtering features. Our intent is that "retail" DX clusters should connect via telnet to one of these 3 nodes, and that end-users should connect to the "retail" nodes. So simply filtering could be done with some programming language,like Perl that would connect the telnet.reversebeacon.net and then introduce itself as filtered output via localhost socket. Cqrlog could then connect to localhost socket thinking it is a DXCluster and get the prefiltered results from there. No changes to cqrlog code and tailored command line daemon to freely play with needed filterings. This could also be a nice club project as one that kind of retail cluster could feed a bigger group of end users easily. the use of RBN is interesting for me, because it also shows known local stations that are not spotted in the normal DX cluster. Via "Callsign allert" i can then see which local station is calling CQ, and can then specifically address it. So for me it's not primarily about DX stations, but about the display of known local OM's with which i want to make a plain text QSO. The spot rate is of course much higher with RBN, which is of course a disadvantage. But the combination of "RBN" and "Callsign alert" is ideal for my search for local QSO partners. Your approach to disable all non-EU RBN and/or DXC spots is IMHO by far the worst possible option. You can cause an unexpectable amount of QRM, my ~50 years of experience says that the highest amount of most annoying QRM does not come from DX kilowatters with monster antennas but from QRP freaks, boat anchor lovers and low-cost-radio misers who does not remember that a „mighty 5-Watter“ with a wet noodle "antenna" can very effectively destroy DX contacts within a 500 mile range. Watching of DX spots/RBNs can tell you which freq should be avoided, if you watch EU spots only you will not see this. You probably know that DX on LF bands are present and workable for 24 hours a day, the only problem is the noise and QRM. Who can beat this, can work DX… There is a known phenomenon deeply affecting 160-80-40 m bands, so called „gray line“. The is also very easily predictable NVIS peak and the main problem is that in some months the NVIS peak is in overlap with gray line propagation. There are very painful and sad moments when a local „bamboo net“ freaks building a very effective barrier preventing VK/ZL expats to contact their homeland, UK. I have a very sad experience with a local (OK/OM) contest on 80 metres which evaluated the morning NVIS peak to get a 70-100 Q/hour rate with local stations but there were lots of complaints coming from both sides, ie. UK and VK/ZL. This contest was organized by a local CW Club where I was a member, the complainers asked me to do „something“ to avoid QRM, to not build the barrier between UK and ZL. It was so painful to me that I resigned on this membership because the Club was put into disreputation because the Chairman was so dogged, preferring the local contacts. If you want this, go ahead, please, it is for sure the shortest path to hell! Anyway I would recommend to obtain the P3 panadapter (you are a K3 owner, aren’t? ), set a wide span and you can see your local “bamboos” immediately, without a hassle with RBN or Cluster. You can do this freely only if you know exactly the propagation at the moment and here can RBN help – but exactly in opposite way than you suggested. Watch your locals on a P3 and watch RBN DX spots to avoid QRM, this is a gentleman’s way! P.S. If my sense of humour is too different from yours, my sincere apologies! The same setting can be found in the HamQTH DX cluster. There the term "Spot from" or "RBN from" is used. This name is certainly better than "DE-Station". But the function is the same. no problem with your comment or your humor! I used the term "DE-Station" because this is a setting in the filter menu of the page "https://dxwatch.com/" and was meant as an example only. "DE station" indicates the continent from which the "DX station" was reported. If I set "DE-Station=EU", only stations that have been reported from Europe, i. e. listened to, will be displayed. It reduces traffic to the stations that were heard in Europe. That's exactly what I want to see. I'm not really interested in stations that have been heard in Asia or Oceania, for example. At the moment, however, it is only interesting for me to use the "Callsign alert" in CQRLOG to see if and where some well-known OM's from DL, OE and IN3 are QRV. That's all this is about. The P3 Panadapter cannot do this. Setting up a pre-filter for processing the spots in CQRLOG only had the point of reducing the traffic beforehand, since the display in the DX cluster window does not seem to work properly at a very high spot rate. I think you can close the topic with this, because the use of DX clusters is quite individual. Luckily, everyone can do it the way they want to. OK, Martin, thanks for your detailed comment, though. Oh, I am pretty badly uninformed! I don't use the dxwatch.com so I didn't understand the term DE correctly. Actually I wanted to recall a bit different way of RBN/DXC spot evaluation, to reduce the QRM on DX frequencies. This is not very usual and I would admonish to use both Cluster and RBN in this way too.